Boulezian: Why have I been suspended from the Labour Party? 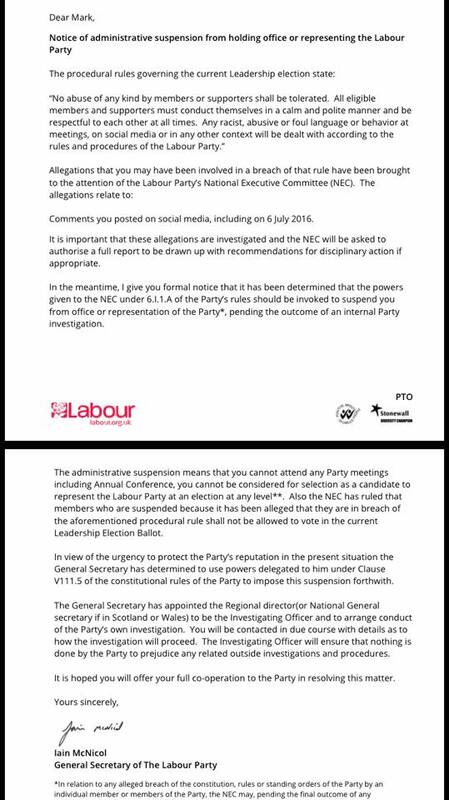 You will shortly receive a letter in the post regarding your application to the Labour Party. A copy is attached to this email for your reference. What might I have done? 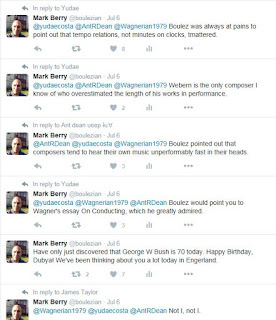 My Facebook profile is not public, although a friend discovered the following posting from me: ‘July 6 · London · Mark Berry has just bought himself some chocolate to celebrate Chilcot Day. The assistant said he had guessed I was “a champagne truffles sort of guy”. Indeed I am, cognac too.’ Perhaps I was informed upon by the friendly assistant in Charbonnel & Walker? No, of course I was not. I can only assume that my alleged offence is to have said, on the day of the Chilcot Report, on Twitter, that I hoped Tony Blair would now be expelled from the Labour Party. I bow to no one in my judgement that Blair is a despicable war criminal, who has no place in any ‘progressive’, let alone socialist political party. Many in the Labour Party would agree with me; many would not. I am hardly alone in having expressed such a view. 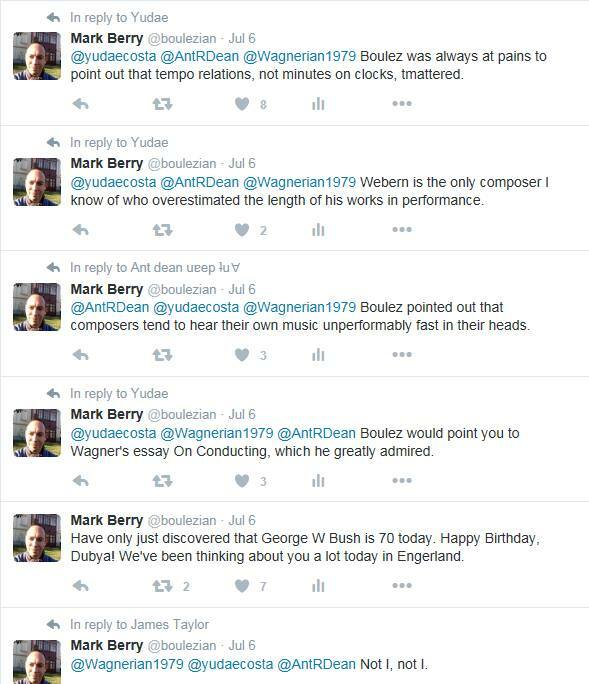 If not that, I suspect I must be the first person to have been suspended from the Labour Party on account of a controversial – not that I knew it was – opinion concerning the music of Webern. Perhaps you have too; if so, do get in touch. We can form a support group. I am not a politician. I am not a celebrity. I am not a remotely influential person. None of that is false modesty; it is simply a statement of what comes as near to empirical fact as anything will ever do. Whatever I might have done or said that offended, it was certainly not ‘racist, abusive, or foul’. If it were construed as such, it must have been discovered by someone who either wished me personal ill, or wished to disqualify me from voting on account of my political views. Someone looking at Twitter would discover pretty quickly that I was – and am – a proud, although far from uncritical, supporter of Jeremy Corbyn. That, we can all be sure, is why I have been suspended from membership. Those whom the Labour Right term ‘Trots, rabble, dogs’, and are nothing of the sort are, ironically, being treated in a fashion that would have made Stalin blanch. He would at least have offered me a show trial. In fact, let us be realistic: he would never have thought me a person worth bothering about in the first place. I am furious. I am also very hurt. This is the first time in my life I have joined a political party. I, like many others, including many of my students, were genuinely enthused by Jeremy Corbyn’s campaign last year. In the aftermath of what was, to many of us, the catastrophe of a Conservative election victory, there seemed at last to be some hope, however illusory. 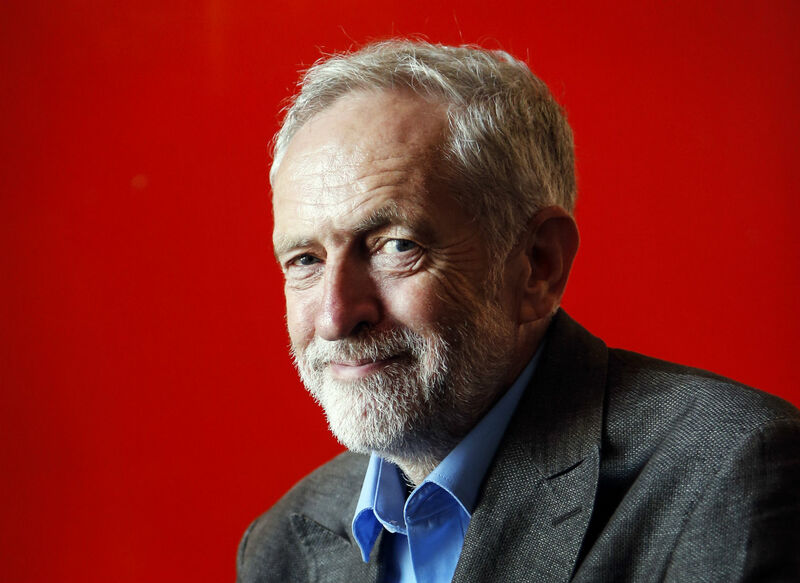 I registered as a supporter then, and promised that, were Corbyn to be elected, I should definitely join; if he were not, I should decided then. I applied, as stated above, the day of Corbyn’s election, indeed within an hour of that. After quite a lengthy wait, I received a letter from the Labour Party telling me that my borough, Tower Hamlets, was undergoing ‘special measures’ – an interesting euphemism for …? – and I should thus have to provide additional identification. I am writing this to show that this could happen to anyone. It is indeed happening to anyone. The contempt for democracy, for natural justice, for the slightest of common decency shocks me; I hope that it will shock some of you too, whatever your political persuasion. This, I think, is one of the reasons Corbyn must win. Would you trust the people who have done this? I certainly would not. A truly dreadful state of affairs. I, like you, joined at the same time for the same reasons, as I am sure did many others, but, at the moment, my vote is acceptable. We must rely on those of us still able to vote to make the right decision. My daughter and her husband have been denied a vote, in spite of being full members and paying an additional £25 each (apparently, they wouldn't be able to vote without paying the extra....). I am still entitled to vote and I shall be voting the way they would have. How else can I protest? I've just had the same thing happen to me. What can I do!